“Every winery in Chile wants to have a little piece of Leyda,” says Francisco Ponce, Oenologist at Viña Garces Silva. Without doubt the development of vineyards in Leyda, once a traditional, poor farming region for wheat and barley, has been the most talked about innovation in Chile’s recent winemaking story. Ignacio Casali (right), Agricultural Director at Viña Leyda, took me onto a high ridge for sweeping views that showed the Leyda Valley laid out before us like a topographical map. Leyda, a sub-appellation of the San Antonia Valley, lies to the west of the coastal mountain range that shelters the inland Central Valleys to its east. It was unprecedented to squeeze vineyards into this cool, foggy strip beside the Pacific ocean, and many must have thought it was folly when an eight kilometre pipeline was laid to bring water to the valley for the first cultivation of vines. That first 80 hectares of vines was planted only in 1998, yet today the total area planted is fast approaching 2,000 hectares. It seems that Francisco Ponce was right that everyone wants a slice of this Pinot Noir and Chardonnay heaven, where the average summer temperature is only around 24ºC, and falls overnight to around 11ºC. Like Casablanca, morning fogs disperse around noon, leading to mostly dry, sunny summer conditions with an annual rainfall of only around 250mm. Soils here are on a granite base, in a gently undulating landscape where topsoils of loamy clay vary in depth, and are rich in quartz and gravel. As well as the Chardonnay and Pinot that put Leyda on the world stage, cool climate aromatic white wine grapes abound, and planting of Syrah is increasing. Leyda carries a heavy burden on its shoulders. People talk of it doing for Chilean fine wine what Marlborough has done for New Zealand or Napa has done for California. Certainly it is already – after just a decade – producing some of the country’s most interesting wines, though thankfully with the explosion of new winemaking zones spreading up and down the country, some of that pressure to be ‘the future’ for Chile may at least be shared. With a young, dynamic team at the helm, the pioneering estate of the Leyda Valley goes from strength to strength since coming under new ownership in 2007. The Amayna brand from the Garcés Silva family has established a huge reputation in just a few years, and their neat, efficient winery is now expanding. The burgeoning city of Santiago has plenty of diversions to offer the visitor. Those looking for the quickest access to wineries and vineyards will find the Maipo Valley has – handily – come to meet them. Thanks to the city’s expansion, vineyards begin in the southern suburbs, with big names like Concha y Toro and Santa Rita within easy striking distance of the centre. But as is the case elsewhere, here in Chile’s oldest vineyard area things are getting a tad more complicated. (Right: manicured gardens at Concha y Toro’s tourist friendly winery). Today we have not only Maipo to understand, but ‘Alto Maipo’ and ‘Coastal Maipo’ too. Echoing the story throughout Chile over recent years, Maipo’s vineyards have been creeping east and further up into the foothills of the Andes, and west towards the Pacific, all in search of cooler climates and more diverse soils. Understandably, the Maipo producers are keen to stress the very real differences between each zone, and whilst not yet officially recognised, the coast, centre and mountain regions are widely accepted as virtual appellations. Best known historically as a red wine valley, Cabernet Sauvignon certainly remains a strong suit, though those vineyards in the Alto Maipo, ranging in altitude from 400 to 800 meters, are adding new dimensions. The sun rises on the Argentinean side of the Andes, so mornings are extremely cool and the falling cold air of evening drops overall temperatures significantly. Coastal, or ‘Pacific Maipo’ is really an extension of the same valley system as San Antonio and Leyda, and these two newer sub-divisions are also producing much fresher whites, notably Sauvignon Blanc and Chardonnay, than the region could offer previously. Soils vary hugely from east to west too, with the rocky, volcanic soils of the mountains, alluvial soils of the central zone and a maritime, sandy influence towards the coast. Whilst investing in vineyards, land and the purchase of fruit from new valleys like Leyda and Limari, the old guard establishment of Maipo is not resting on its laurels, but is consciously looking to make Maipo a more diverse and higher quality valley than ever before. Giant of the Chilean wine industry, Concha y Toro remains family-owned and sets the pace with its brand-led portfolio. Santa Rita’s beautiful museum of Chilean culture is a must see, but its wines continue to show elegance and finesse. From a standing start in 2002, Ventisquero is now in the UK’s top five Chilean wine brands – and with an environmental conscience. In many ways Colchagua is a product of the gradual re-definition of Chile’s vineyard zones. Formerly an effectively anonymous sub-zone of the Rapel Valley, Colchagua has developed as its own DO and with a distinct identity in recent years, thanks largely to the concentration of top red wines emanating from its vineyards. Indeed, some sub-zones of Colchagua will now be familiar on labels, like Chimbarongo, Santa Cruz and, especially, Apalta. Nowhere in Chile is the re-thinking of Chile’s vineyard sites more obvious than in Colchagua. Following the course of the Tinguiririca River from the Andes towards the Pacific, the valley was almost exclusively planted on the flat, with the slopes and rocky hillsides of the mountains ignored. Even as recently as my first visit to Colchagua in 2002, I distinctly recall that the winemakers concentrated on their wineries and wines, but rarely the vineyards. Today in the top estates, it really is all change. I scrambled my way up and down some very steep slopes with Aurelio Montes of Viña Montes as he showed me his recently-planted Syrah and Carignan vineyards, whilst at Luis Felipe Edwards the views from their highest vineyards, planted in 2005 at over 900 metres, are breathtaking. Apalta, a bowl-shaped hillside within the Santa Cruz area of Colchagua, has risen to prominence largely thanks to Lapostolle’s top wine, Clos Apalta, a blend based on Carmenère and Merlot, and more recently Montes ‘Folly’, made from Syrah grown on the steepest part of their Finca de Apalta vineyard, on a 45º slope. Anyone proposing in the early 1990s that such vineyards would become the source of some of Chile’s most iconic wines would have been regarded as crazy. Indeed, Montes’ Folly is so named because the idea of Syrah being planted on Colchagua’s steepest slopes was met with a mixture of disbelief and puzzlement. Today, the valley’s reputation still rest mostly on established Bordeaux red varieties, though plantings of Carignan, Mourvèdre and Grenache are increasing. A family-owned company whose extraordinary high altitude vineyards aim to protect their legacy for coming generations. With a stunning winery, French-owned Lapostolle farms biodynamically and has some of the oldest vines in Apalta. Montes’ Feng Shui winery is striking, but it is the ultra-dense, high slopes planting that gets Aurelio Montes most excited. Alta Helena is a fascinating new range of premium Cabernet Sauvignon wines, presented as a tour of Chile’s main wine valleys. From a Bordeaux winemaking background, a family with a passion for horses that’s almost equal to their passion for wine. 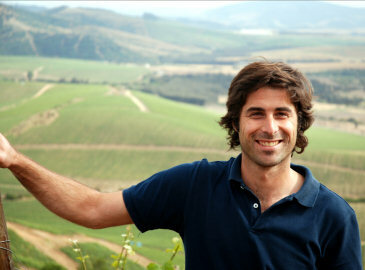 Based in Cachapoal, the ‘other’ half of the Rapel Valley, but Anakena sources fruit from Colchagua and further afield. On this trip I did not visit the Curicó Valley, but whilst in Santiago one of its most important companies and the earliest foreign winery to invest in Chile, Torres, brought a selection of wines to their city centre wine bar for me to taste through the Torres Chile line-up. The flight from Santiago south to Concepción, a distance of 435 kilometres, takes only 40 minutes or so. But once out of the bustling, modern city, heading a couple of hours further south by road, and a new face of Chile is revealed. In stark contrast to the eye-squinting sunlight and treeless deserts of Elqui where my journey began, this is the beginning of Chile’s lake district, a rolling, soft landscape of pine forests, lakes and gentle hills, its myriad shades of green reflecting a much higher rainfall and cooler conditions. Though there are new vineyards even further south, for now this is the southern limit of commercial wine production. Click photo for larger version. Many Central Valley wineries are planting vines or buying fruit from Bio Bio, but for now the area is dominated by one very large estate owned by the Córpora Group. Planting in Bio Bio is still a relatively risky business, but for Pinot Noir and white wine varieties – especially those aromatic varieties that benefit from the cool, but prolonged growing season this far south – the Valley holds huge promise. Table grapes, and Pais and Muscat for cheap, bulk wine has been grown here historically, but investment in quality wine is a phenomenon of only the last six or seven years. The Andes play little part in this region, where planting on the undulating hillsides is generally at 200 metres or lower. Bio Bio means “big water” in the local language, and it is the broad Bío Bío River that brings irrigating water and helps protect against Spring frosts – one of the key factors in the new Bio Bio. The soils of the region are generally quite rich in organic matter, alluvial river sediment and sand. 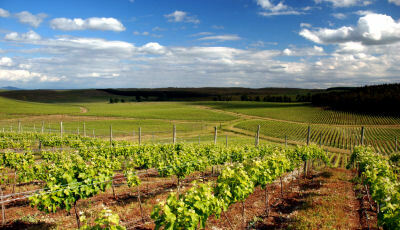 The Bio Bio Valley continues to attract substantial new wine investment, and plaudits for the qualities of its wines. Without doubt this cool valley is also one of Chile’s hottest properties. For now, Córpora is the major player in Bío Bío. From its 440 hectares of vineyard it produces wines for a number of wine brands within a portfolio it calls ‘VC Family estates’. There’s a new emphasis on Pinot Noir, with a Burgundian team at the helm. And so, my journey from north to south concluded. 1100 kilometres, from desert to pastoral lake land and from unremitting, scorching heat to cool and misty conditions. If ever proof was needed of Chile’s diversity, then this was it. But diversity is no good without grape growers and winemakers willing to understand and make the most of it. That is the most remarkable change over the seven or eight years since I first visited this country. This is a motivated and ambitious wine industry, filled with passionate believers, keen to grasp the future.